Mary Rozzi photographed Samantha Gradoville for the Fall Winter 2012 campaign images of La Perla Oriental Suite that was styled by Elisa Nalin. The latest covers of The Hollywood Reporter are featuring well known Hollywood stars with their stylists! They’re are Academy Award nominee Jessica Chastain and Elizabeth Stewart (snapped by Mary Rozzi), Emma Stone and Petra Flannery, Katie Holmes and Jeanne Yang (snapped by Joe Pugliese), last but not least, Charlize Theron and Leslie Fremar (snapped by Mary Rozzi). Rachel Zoe and Kate Young (who’s her clients including Natalie Portman and Michelle Williams) topped the magazine’s “25 Most Powerful Stylists” in the first and second spot respectively. The article is published in the same issue of the magazine. 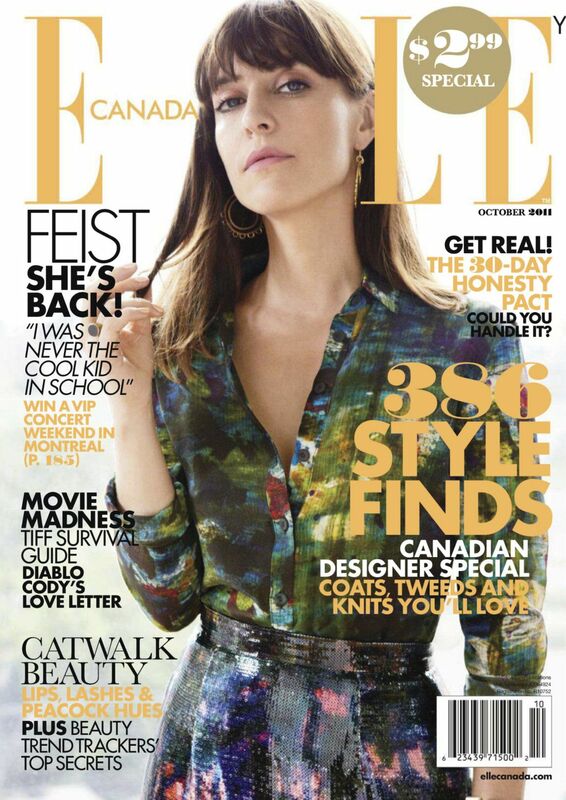 35 year old Canadian singer-songwriter famously known by her last name, Leslie Feist is gracing her hometown Elle photographed by Mary Rozzi. Her fourth studio album, Metals, is scheduled for release in October 2011. Click here to view last year cover featuring Hilary Rhoda and here for 2009 cover featuring Audrey Tautou. 26 year old Brazilian top model, Jeisa Chiminazzo is featured on the latest advertisement campaign of La Perla photographed by Mary Rozzi.